Choose designs and create text. 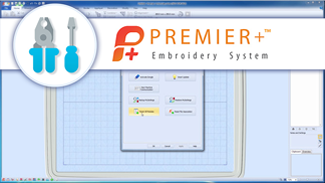 Select the designs in the work area and Group them. Load an embroidery to split in the Split Project Wizard. 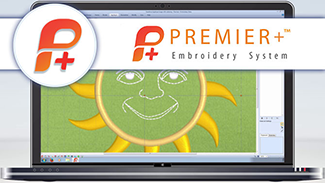 Adjust the split lines in the embroidery, and then Save the split sections. 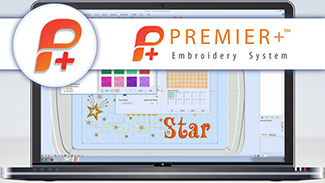 Create a tiled fabric in the Background Wizard. 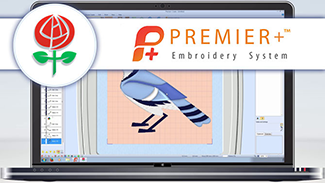 Load a picture of a Blue Jay and create stitch areas with Quick Create. Create Satin Areas over the picture with Precise Create. Create stitches with QuickStitch Multiple Satin and with Freehand Create. 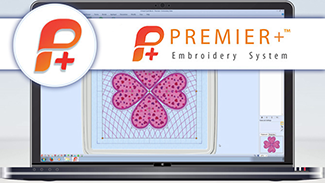 Create Pattern Fill areas with Precise Create and with QuickStitch and AutoHole, then Save your design. 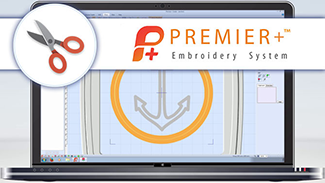 Make an anchor stamp in PREMIER+™ Create and use it to emboss a fill area in PREMIER+™ Modify. 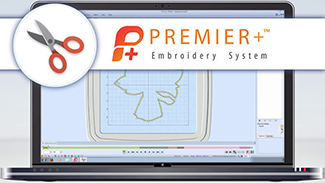 Create a SuperDesign appliqué heart design with Encore. Use the Quilt Block Wizard to add a curved crosshatch around the appliqué hearts. 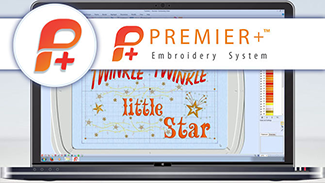 Open the Twinkle Twinkle design and change the lettering. 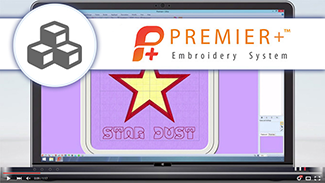 Add an appliqué; star and some SuperDesign stars. 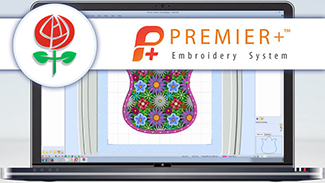 View the decorated design on a tote bag and Save. Create an appliqué tulip with the Express Border wizard in PREMIER+™ Embroidery Extra. 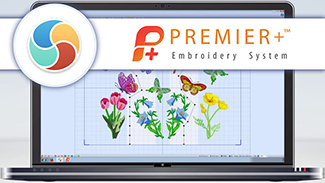 Add a floral appliqué fabric to your design. Create a design with lettering and decorations in PREMIER+™ Embroidery Extra. 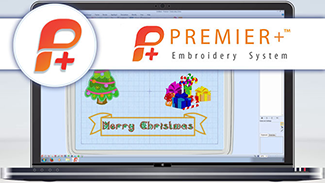 Adjust and Group your lettering and decorations, then Save and Export. 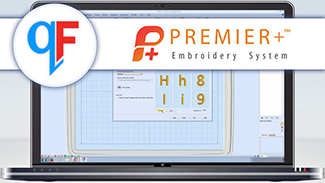 Create a font automatically in the QuickFont Wizard. Create a beautiful appliqué with the PREMIER+™ Create Express Border wizard. 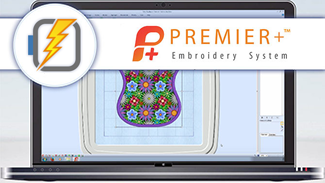 Enhance the appliqué tulip design by using the FilmStrip in PREMIER+™ Create. 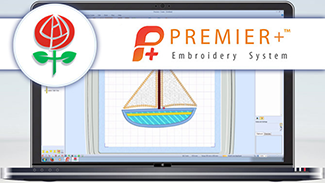 Create an outline boat design for quilting. Create a sail boat using satin and fills. 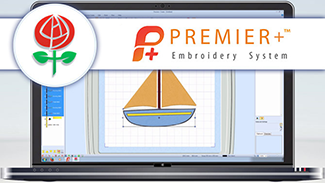 Creating a sail boat design with more interesting effects. Add elements easily using the QuickStitch tools. Save the design and export the boat appliqué pieces. 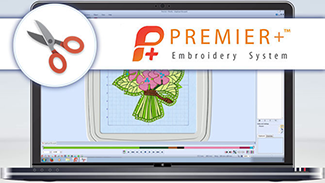 Create a quilt block automatically with a fill surrounding an embroidery. Create a heart design quilt block automatically. Try different options for your quilt block. Create a one, two or three letter monogram with a border automatically. Adjust your embroidered monogram easily, even after saving. Select an appliqué patch for your embroidered monogram. Create a single-color linear PhotoStitch of the Eiffel Tower automatically. 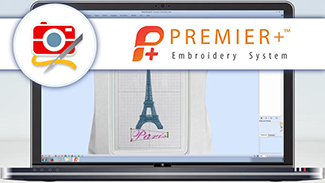 Adjust the lettering in your Eiffel Tower PhotoStitch embroidery. Add a frame and lettering to your Eiffel Tower PhotoStitch, and place on a background. 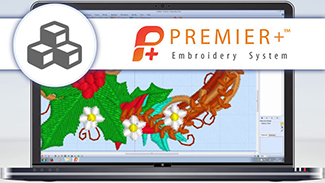 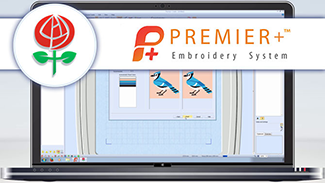 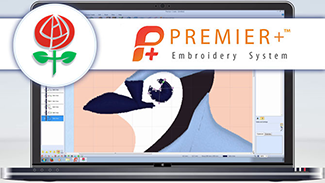 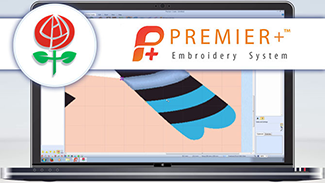 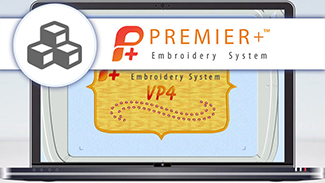 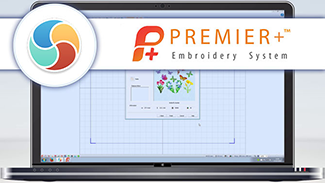 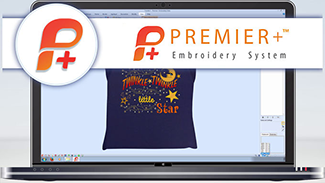 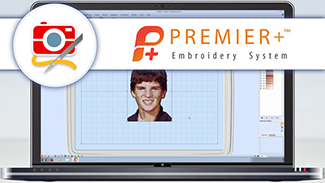 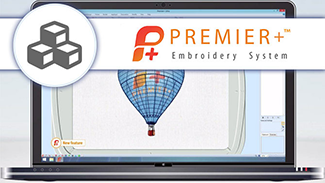 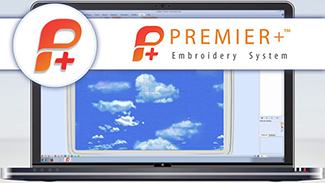 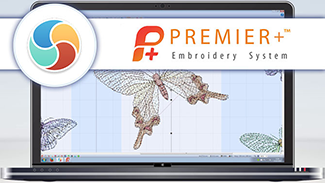 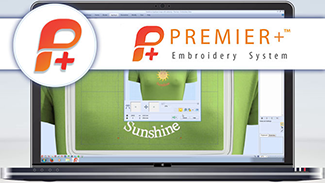 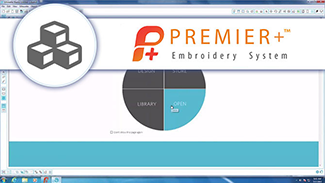 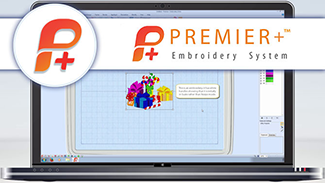 Print your own fabric using Export Appliqué Pieces in PREMIER+™ Embroidery software! 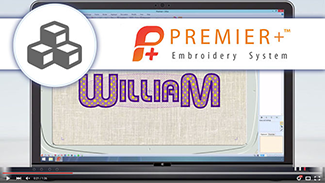 Check out the settings for Export Appliqué Pieces to create outlines automatically for your automated cutter.